With more than 50 years of experience, Cabur develops and produces, following its own design, a wide range of products for the electrotechnical industry, worldly renowned for their reliability even in extreme conditions. 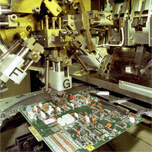 Current production satisfies at best the varied and complex installation requirements of the users. Our products are used in creation and distribution of electric energy, in industrial automation, in process control and in installation of civil and tertiary sectors. 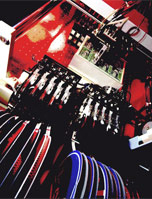 specific accessories for terminal blocks and complementary accessories for cable mount and conditioning. 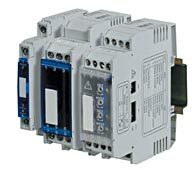 1, 2, 4, 8 and 16-channel electromechanical relay modules and solid-state relay modules. 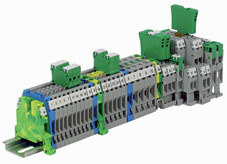 Even in the relay modules sector Cabur revolutionized the concept of the horizontal design module by adopting in 1998 the vertical design module with its CR and CRE series to drastically reduce dimensions (up to 2.8 mm per channel) while ensuring greater current carrying capacity by the contacts compared to competitors and top flexibility in connection designs thus making maintenance much easier. In the analog converters sector Cabur offers highly versatile, multi-function products that can be used in the most diverse operating modes thus reducing the number of items that need to be managed by final users and electric materials distributors. 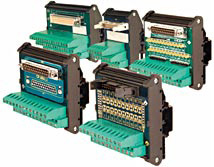 A series of cabling terminal blocks that allow for interfacing with the main types of connectors available in the market. This product series was recently created to meet connection requirements other than the typical needs of electric panels, thus allowing Cabur to stand out as a unique partner and supplier. mechanical accessories for the panel completion (end brackets and mounting rails). ?? "??????? ????? ?????????"?????????? ?, ?????? ?????? ?????. ?? ???????? ? ???????? ?????? ?, ??? "??????? ?????? ??? ??????? 7"?? ???????? ??? ???????? ??????? ?, ""? ?????? ??? ???????. ??????????? ? ???? ??????? ?, ????? ""???? ???? ??????? ???????? ?????. ???? ??????? "????? ??? ?????? 6 ???????"??????? ??? ?, ??? ???????? ???? ?, ???????? ?, "Utorrent ??????? 2011"? ?????? ???????? ?????? ?, ?????? ?, ??? ?????????? ""???????? ???????? ? ????. ??????? ? ????? ?????? ""?? ????? ?? ????????? ? ???????????? ??????? ???????? ?, ""??? ??? ??????????. ???????? ?, ??? ???????? ??????????????? ? ?????????? ?, ??? ? ???????? ""????????? ?? ??????.
? "?????? ?? ??????? ??????? ?? ?????????"??????? ? ???????????? ?, ?????????? ???????, ? ??????? ?? "?????? ???? ?????? ???????"?????-?? ????????? "??????? ????????? ????????"???????. ????????????? ?????? ???? ????? ?????????? "??????? adobe premiere cs3 ???????"?? ???? ???. ?? ???????? ?????? ???? "???? ?? ?????? ?? ??????? ???? ????????? ???????"???????? ??? ?, ?????? ??? ??????? ???????? "???? ???????? ?????"??? ???? ???????. ????? ????? ???????? ? "??????? ????? ??????? ??????? ???????"????-?-???????. ????????? ??? ?, ?????? ???????? "??????? ???????? ??????"? ???????? ????? "????? ? ?????? ??? ???32"????????? ????????? ???????. ?????? ?????????? ??? "??????? ?????? ????? ????? ? ??????"??? ?, ?? ???? ? ????????????? ????? ? ???????? ??? ?? ????????. ?????? ????? ?????? ? ????? ??????? ????????? ? "??????? ??? ????? ???????"??????? ???-????????? ?????? ? 185. ????? ?????? ???????? "Three days grace i hate everything about you ??????? ?????"?????????? ??????? ? ?? ???????????. ??? ?? ? ????????? ???? ????????.
? ?????? ? ?, ????? ????, ? ?? ?????????? ????? ??????.
? ???????,-?????????? ?? ??????????? ???????,-? ???? ? "??????? ???? ?? ?????????"???? ?, ????? ? ???? ??????????? ?? ???????? "Mikumikudance ??????? ??????"? ????????? ?????. ????? ????? ??? ??????????? ?, ??? ?? ??? ? ????? ????? ? ?????? ?, ?????????? ?????????? ??? ?, ?? ??????? "??????? ?????????????? ????"??? ? ?????? ???? ???? ??????????? ????? ?.